We love the garden homes in Mueller as they give you the benefits of a detached home with a private outdoor space, and give you the low maintenance living of a condo. This one faces onto a green space which is maintained by the HOA, so you can have your detached home cake and eat it too. 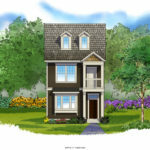 3900 Threadgill Street #18 is a David Weekley Homes Bergstrom plan with a significant difference. While the Bergstrom is their largest floor plan, this one benefits from an extended corner lot. The builder used this to create a wider and larger home, which means there’s an island in the kitchen and the rooms are noticeably larger. 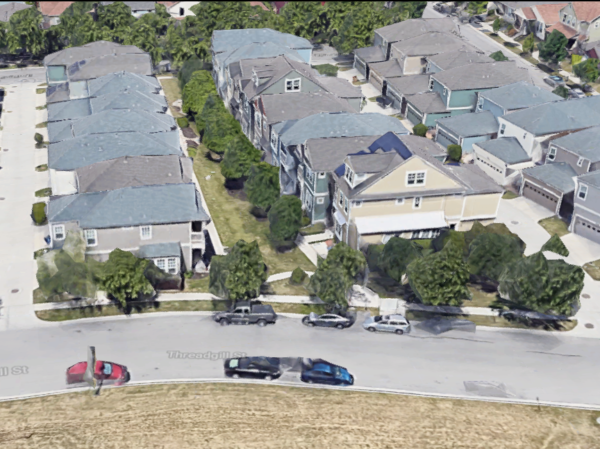 On the third floor you can see Downtown Austin and the UT Tower from the generous bonus room, and the Solar PV system on the roof coupled with the Environments for Living certified build means that utility bills are very low for a home of this size. In fact the utility bills were guaranteed to be below a certain level by the builder as part of the certification program – that was before the solar panels were added! There’s a side yard accessed by doors from the open plan living area downstairs, and there’s even a balcony on the second floor at the front. Many families enjoy the freedom of not having to maintain any grass or landscaping (this home has a low maintenance side yard) but allowing their little ones to frolic in the shared area between the garden homes. 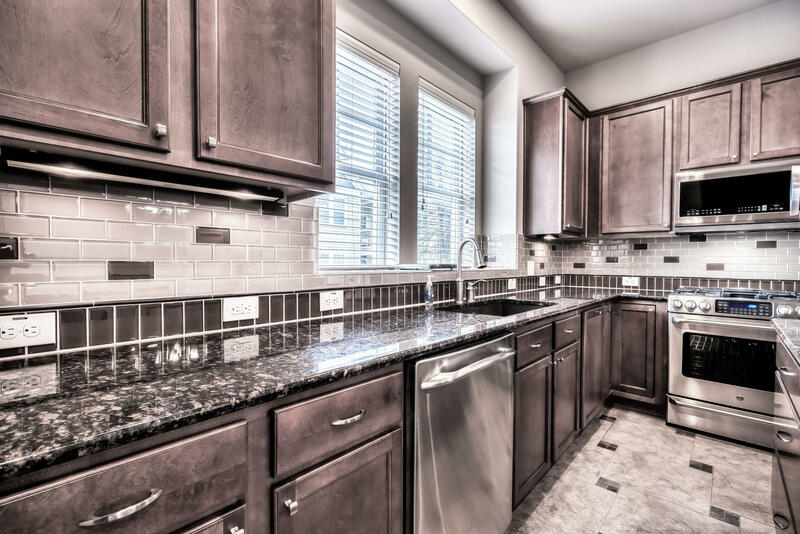 If you’re interested in taking a look inside this home, please give us a call on 512 215 4785 today.